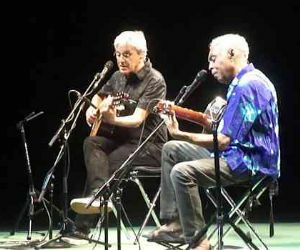 Concerts, Caetano&Gil – Two friends, a century of music"
Veloso and Gil are celebrating the fiftieth anniversary of their career and friendship. They met for the first time in Salvador de Bahia, and from that day of the early 60s are very good friends. Together, they wrote only a few compositions, but they shared joys, happy moments, sad moments and adventures and their friendship has always been there, intact. It's obvious admiration that each of them against the other but, despite that, they encountered many difficulties deciding the set list for the show. They want songs that mean something, both for their friendship and for their musical relationship. 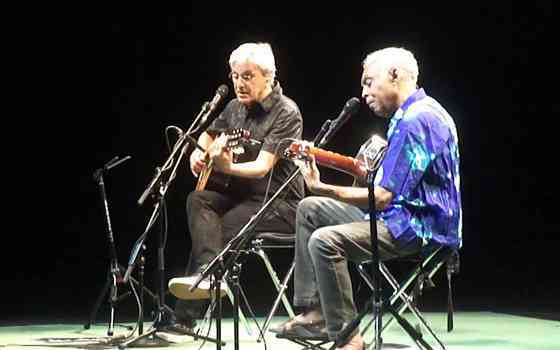 Since they performed the world Tropicalia 2 tours in 1994, many have requested that this type of show was repeated, only now they have found the time to stop and discuss this new duo: just the two of them with their guitars will be on stage. For a complete schedule, visit the '[url = http: //www.oggiroma.it/eventi/anteprima-concerti/] preview concerts in Rome [/ url] in the section.